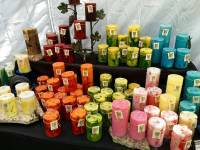 Description: We are nuts about bananas, and this is a fun way to enjoy them! 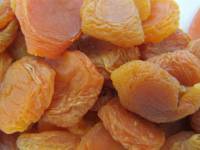 Description: Dried California apricots are sweet, tart and chewy. 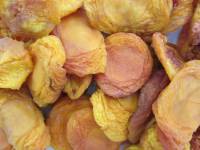 Loaded with potassium, and vitamins A & C.
California Apricots, Dried 12 oz. 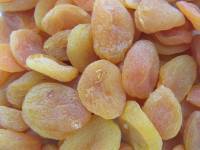 Description: Dried California apricot pieces are sweet and chewy and full of flavor. Loaded with vitamin C, vitamin A, fiber and potassium. 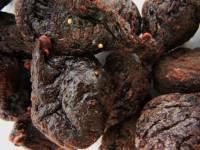 Calimyrna Figs, Dried 12 oz. Description: California grown and dried; a favorite of fig lovers everywhere because of their natural sweetness and intense fig flavor. 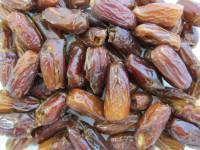 Description: Considered the diamond of dates, Medjools are prized for their large size, extraordinary sweetness and chewy texture. Seasonal availability. USDA Certified Organic. 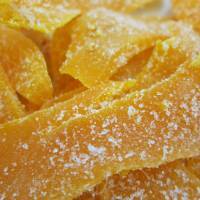 Description: Our deep orange colored dried mango slices have the sweet taste of the tropics. 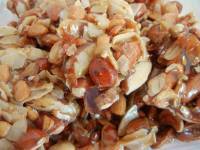 A delicious snack or tasty addition to your recipes. 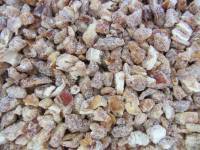 Description: Bates Nut Farm's dried mixed fruit blend is one of our top sellers. Try some and you will see why! 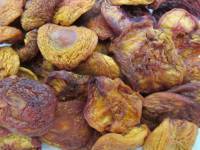 Description: Sweet, moist and plump dried nectarines are rich in vitamin A and high in fiber. Enjoy the taste of summer all year long! 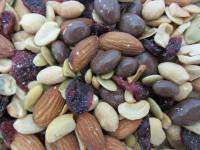 Nut Farm Trail Mix 12 oz. Description: Simple, clean and delicious. 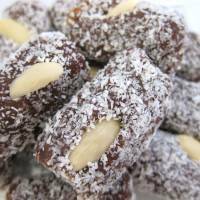 The clean taste of raw almonds, raw cashews, raw filberts and raw brazils contrasts with the slight sweetness of raisins and sliced coconut. Simply perfect! 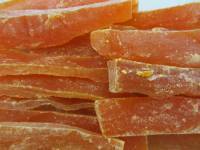 Description: Sweet and chewy dried papaya spears diced into bite-sized bits. 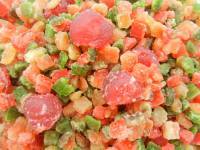 Description: Sweet and chewy dried papaya spears are full of tropical flavor. As delicious as they are beautiful! 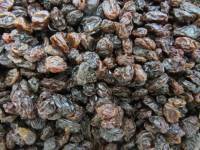 Description: These dried fancy peaches are moist and delicious. 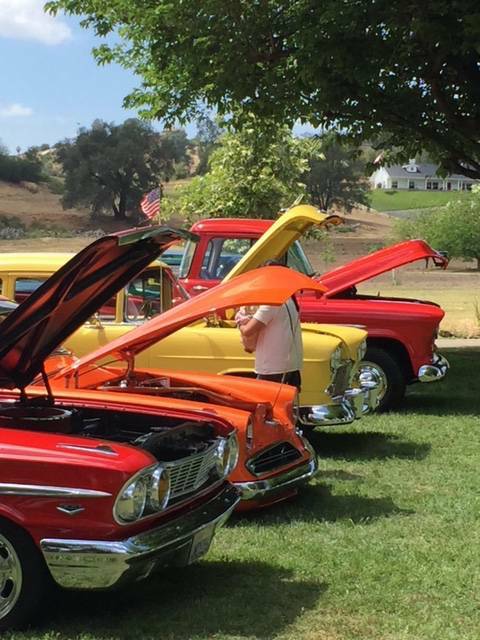 Enjoy the sweet taste of summer all year long! 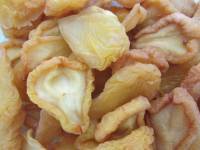 Description: Sweet, plump and nutritious, our fancy dried pears make a great snack. 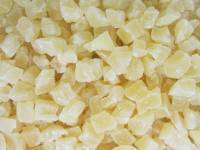 Description: Enjoy the taste of the tropics with our dried pineapple bits. 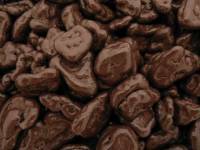 These sweet and chewy morsels are delicious in recipes or enjoyed on their own as a nutritious snack. 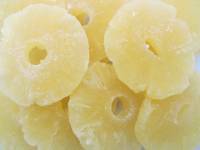 Description: Enjoy the taste of the tropics all year round with our dried pineapple rings. 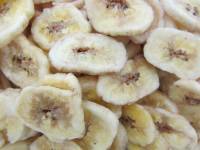 Sweet and chewy, these delicious dried fruit treats are filled with nutrients. 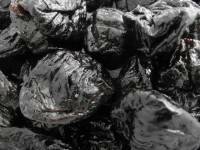 Prunes - Pitted, 12 oz. 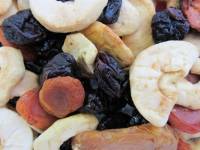 Description: Pitted prunes, or dried plums, are high in vitamin A and fiber. 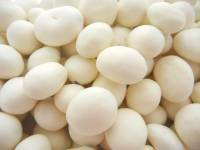 They are sweet and moist, and make a delicious and healthy snack. 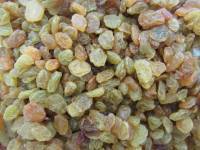 Description: Our golden seedless raisins are high in fiber, potassium and iron and are naturally fat free. 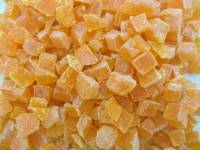 They are a beautiful amber color and add sweet fruitiness to salads, cookies and other treats. 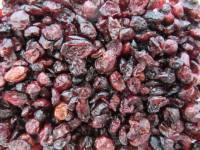 Description: Thompson seedless raisins are a sweet and healthy dried fruit snack. Ours are plump and full of flavor! 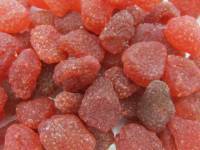 Description: Enjoy the sweet taste of summer all year long with our dried strawberries. Description: Want to try something new? 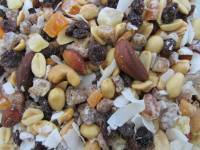 Sweet 'n Salty Trail Mix is one of the latest additions to our popular line of trail mixes. 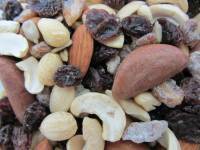 A sweet and savory blend of fruits and nuts. 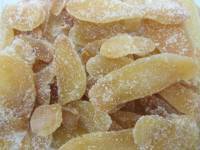 Turkish Apricots, Dried 12 oz. 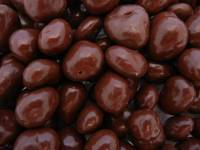 Description: Our premium Turkish Apricots are sweet, moist and delicious. Their brilliant orange color tells you they are high in beta-carotene. 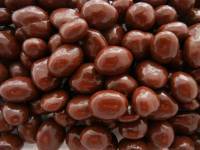 Description: Moist and sweet premium raisins drenched in a creamy vanilla yogurt coating.